This is not the easiest of years for you, the Snake. You’ are very shy, with a sensitive ego and you need to keep a low profile this year because you don’t handle rejection all that well. This makes you naturally cautious but you’re a visionary at heart and not at all duplicitous. This is not a year to take risks in love or with money. Accept the challenges that come your way and learn from them. Be conservative in your investments - both financial and of the heart - as your judgment might be a little off. You could experience some strife and your relationships could suffer. It’s a year to build on what you have and communicate your struggles rather than bottling it all up inside. Children could bring you joy, as could a new hobby. Outdoor exercise is good for your health. Love for single Snakes: Single snakes looking for their ideal lady might have to be a little patient this year but if you’re looking for your man, you’re in luck. Keep a trusty companion with you at all times as you might feel more insecure than usual in public. But don’t give up! 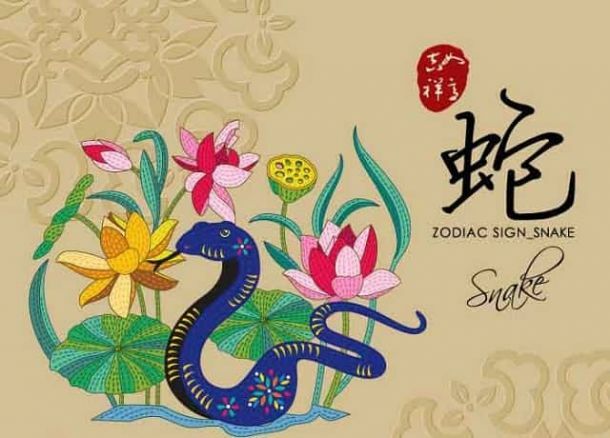 Love for coupled up Snakes: Your marriage or relationship is solid and any challenges in the year of the Pig only serve to bring you closer together. Share the responsibilities equally with your partner and make sure to communicate well, avoid arguing and support each other. Steer clear of jealous behaviour. Year of the Pig Forecast for you: Some things might not go your way this year but any challenges only serve to make you stronger, both in your career and your relationships. It’s a year to consolidate what you have rather than venture outward.